Why Chinese people eat Jiaozi? Doufu nai, literally “bean-curd milk”, is a Chinese speciality little appreciated by westerners. It is definitely an acquired taste, and has often been compared to strong cheese: you either love it (as does almost everyone in China) or hate it (as does almost everyone elsewhere). The most common way of serving fermented bean curd in China is for breakfast with rice congee. 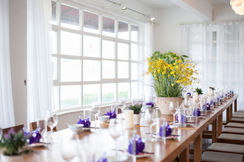 Let us know more about the wonderful venue and make good use of it! Chinese New Year has almost past, and many people are already familiar with the many delicious foods typical of that time. (If you’re not, check out our blog post from last year that gives some history on Chinese New Year dishes!) 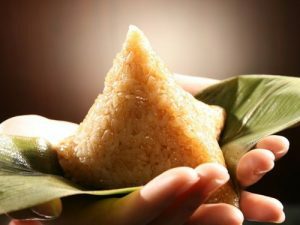 Today, we want to talk about the festival that marks the end of the Spring Festival season and has its own interesting treat: Lantern Festival and its delicious glutinous rice dumplings! Spring Festival is fast approaching and along with it all of the fun activities and delicious foods we enjoy at this time of the year. Today, we want to talk about two in particular. 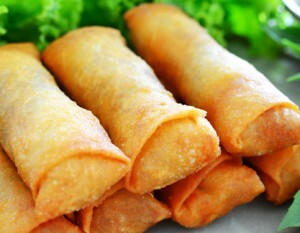 The first is a food that many of our foreign friends may be familiar with, the spring roll. The other is a beautiful traditional Chinese folk craft called paper cutting. 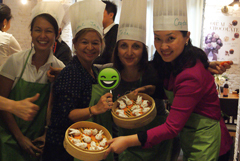 We here at Cook in Shanghai have been doing a lot of team building cooking classes recently and we thought it’d be a good time to talk about some of our experiences. We all know that the purpose of team building exercises is of course to build up the relationships of people working together. During our own team-building activities, we have noticed that people seem to relax and have fun very quickly. In only a few minutes, participants go from filing in to cheering and encouraging each other. Do you want to experience nature while learning about Chinese farm life? 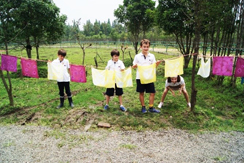 Cook in Shanghai will bring you fresh air and a relaxing atmosphere with our Tie Dye Farm Experience Day Tour! We will pick our own vegetables, learn to cook some amazing dumpling, learn about tie dye and enjoy the slow pace of the outdoors and rural life together. – three-colored soup dumplings – instead of the dim sum class on every Monday. In this new class, we will learn how to make three kinds of soup dumplings with different fillings. The first one will be the traditional soup dumpling, white soup dumpling with pork; the second one will be orange soup dumpling with chicken; the third one will be green dumpling with luffa and shrimp. 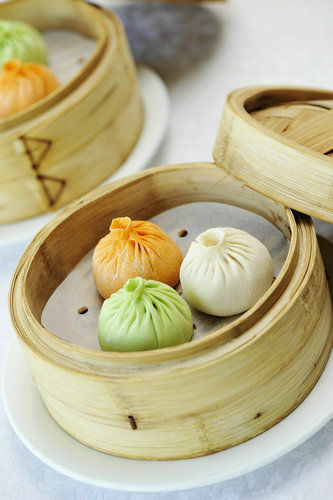 It is a way to find out how to make three-colored soup dumplings! Come and join us, taste your own hand-made creations, and meet new friends. Learning how to taste wines is a straightforward adventure that will deepen your appreciation for both wines and winemakers. Look, smell, taste – starting with your basic senses and expanding from there you will learn how to taste wines like the pros in no time! Tasting wine is all about utilizing your five senses to fully experience what’s in your glass. 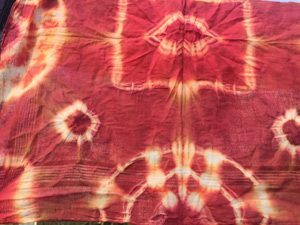 We will have tie-dye class; it will start in July 2016. Tie-dye, as the name shows, the tie-dye process can be divided into two parts, first tie the fabric and then dye. Normally we use strings and wood strips, squares and chopsticks to tie parts of the fabric so that they will not absorb dye, giving the fabric a streaked or mottled look. During the month of May and June we are expanding our stable of classes to include our new Pudong venue as well as fill out days that are more and more requested by our customers. This will include 3 new courses. 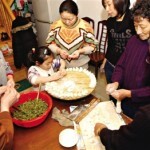 The first on is a new dim sum class on Mondays. 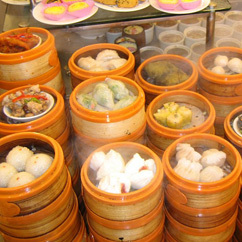 Here our customers can choose the type of dim sum they would like to make, for a total of three dim sum dishes. Many have heard of the concept of “yin and yang”. It’s a famous idea that contributes to the stereotype of a mysterious and deeply philosophical East that is full of unknowable tradition and ideas. While it’s cool to be known as deeply philosophical and mysterious, the truth is that we use the basic concepts of yin and yang everyday in China. 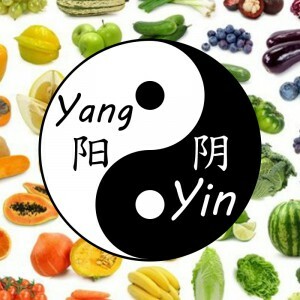 They are far from being unknowable, and in this post we’ll teach you a bit about the basics as they apply to yin and yang in food. 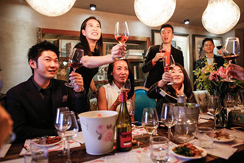 It is with great pleasure that Cook in Shanghai announces their 3 Year anniversary! To celebrate this special event, everyone is invited to join us on 29th of May at 1.30pm to 5.00pm. We will have a great Dragon Boat Festival experience. When we think of the Silk Road, we often think of something ancient and exotic. Spices. Traders. A caravan of camels plodding across sun soaked dunes. But did you know that while the silk road’s heyday was a long time ago, it’s influence still lives on in the food of western China? In this blog update, we’d like to talk about finding traces of the silk road today in China and across Asia. The first thing to point out about the silk road is that a better name would be the Silk Routes, because it was not a single path but many paths going from East to West and back again. Some over land, others over sea. 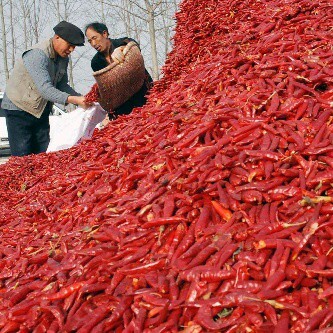 Chili peppers are beloved around China and an important ingredient in many provinces. In fact, China produces over half of all the chili peppers in the world, according to the Food and Agriculture Organization of the United Nations! They are used in almost every cuisine in China with the stand outs being Sichuan, Hunan, Beijing, Hubei and Shaanxi. With the most common preparations being fresh, dried and pickled. Chili peppers are especially popular in China because it is believed that their spiciness is very effective at dissipating dampness in the body. 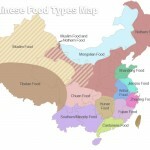 Today we’re continuing our series on China’s regional cuisines! 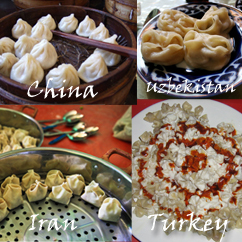 Check out our previous posts on Sichuanese, Beijing food, food of the Silk Road and Cantonese as well! Shanghai cuisine is the food that is based in Shanghai and its surrounding area, especially Suzhou and Wuxi. In Chinese, it’s commonly called Shanghaicai (上海菜, “cai” means food or cuisine), Hucai (沪菜, “Hu” is a common nickname for Shanghai) and Benbangcai (本帮菜, “Benbang” means local). 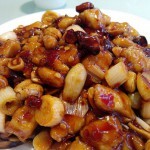 Today we want to introduce you to another Chinese cuisine: Cantonese food. Cantonese food is one of China’s four Han cuisines (the others being Shandong, Sichuanese and Jiangsu, check our previous post on Beijing food as well to learn more! ), though it’s probably the most famous abroad. Cantonese food is from the southernmost province on mainland China called Guangdong. It is the province to which Hong Kong originally belonged and indeed the people of Hong Kong still speak the local Guangdong language which we know today as Cantonese. 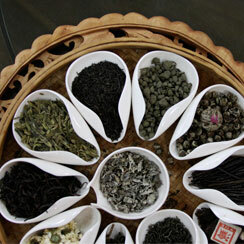 Today we wanted to talk about Chinese tea. It’s such a huge topic that we won’t be able to cover everything in one post, but we’re hoping to start with a few key facts that will set you on a path to learning more about one of China’s greatest products! Few foods have gotten a bad wrap in the west the way tofu has. 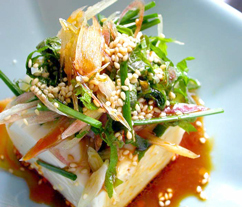 We’re not sure if it’s bad PR or just a big misunderstanding but to our foreign friends, tofu is often synonymous with the bland and the boring — a sad filler for the overly chaste. 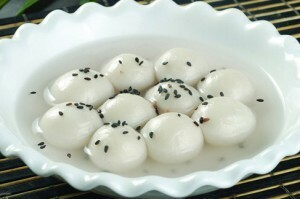 But here in China, it’s the star of some of our most famous and delicious dishes (Mapodoufu, anyone?). And far from being bland or boring, it can deliver a KO punch in the form of stinky tofu or be fried up with bacon to please even the most ravenous carnivore. Noodles are ubiquitous today. You can find them in all parts of the globe prepared in thousands of ways. When we think of noodles, many westerners think of Italy with its hundreds of varieties of pasta. 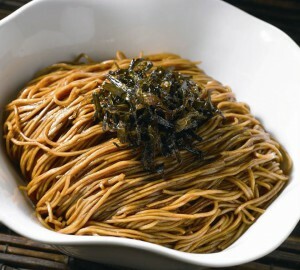 But at the other end of the Silk Road, here in China, the noodle is a just as popular and integral part of the culture. If you’re anything like us, first discovering Chinese food was such a great adventure. There are so many cuisines to try and each one has its own huge cannon of dishes — it’s almost too much for a person to get through in a lifetime. But, after happily gorging ourselves for a few months on Water Boiled Fish and Long been fried with Eggplant and Chili Chicken, you begin to notice that there is a lot of oil left over on those plates. And it’s not just the Sichuanese food. These foods are of course, extremely delicious, but they can sometimes leave you wondering if you shouldn’t just go straight to the gym after every meal. 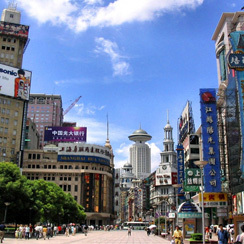 We are at the end of May and fast approaching the melting heat of Shanghai’s summertime! That of course means that we are also about to celebrate one of China’s most famous traditional holidays: the Dragon Boat Festival. This festival is famous abroad because of the image of the beautifully decorated dragon boats racing on rivers, however there are also several very special culinary traditions that we always look forward to every year. 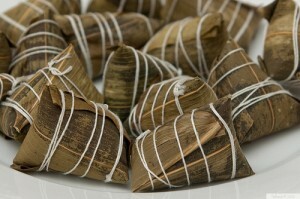 Especially because of the delicious traditional rice dumpling or zongzi! As anyone who has spent time in China can tell you, food is a very important part of any festival in the country. 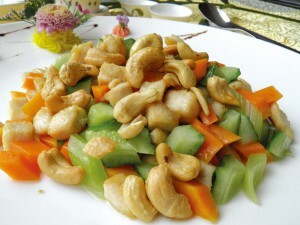 Of course, Spring Festival is now upon us and as the biggest festival of the year, there are of course many traditions involving which foods to eat and when. But have you ever thought why these foods are shared by everyone at these times? Here at Cook in Shanghai, we knew of course some basics, but there not the whole story. So we thought we’d dive in and try to find the best answers of why we eat what we do to welcome the new year. Sichuanese food is probably one of the most well known Chinese regional cuisines. Sometimes spelled Szechuanese or Szechwanese, it is not only universally loved in China. Today plates full of colorful dried peppers and Sichuan peppercorns can be found in big cities around the world including New York City, where the Sichuanese restaurant Lan Sheng even has a Michelin Star. 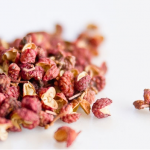 If you could only name one ingredient that seems to be the most unique and important to China, a good choice would be the Sichuan peppercorn, sometimes also called prickly ash, or huajiao (花椒, hūajiāo) in Chinese. A favorite ingredients for people taking our cooking classes, the huajiao is so special because of its ability to give the mouth a tingly feeling like putting your tongue on a 9 volt battery.